Corporations are like aeroplanes: they are guided by a dashboard of data. Data supports most decisions and directions, be it financial data or consumer insight. 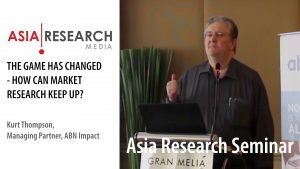 For over 10 years, the Asia Research Magazine has been undertaking an annual survey of market research in Singapore and we report on the main findings in this edition. A Special Edition of Asia Research will provide a full report on this survey. 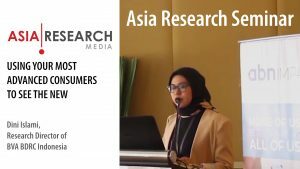 With so many changes happening in the consumer insight industry, particularly with the arrvial of new technology and new research vendors, in 2018 Asia Research decided to undertake qualitative research with clients through a series of in-depth interviews. These included interviews with leading international and local corporations in Singapore, representing significant buyers of consumer research in the media, financial services, telecom, retail, and consumer goods categories. Research is gaining status in most corporations, driven by a wider application of data, analytics, and consumer insight across multiple departments. Senior management can also encourage a ‘greater insight culture’ within their organisation. Insourcing of research is common across organisations, but clients see a wider range of benefits in engaging external firms for their research. While there is widespread adoption of new survey technology and new types of vendor, there is limited use of fundamentally new research methodologies. The mainstay of research is within the brand management and marketing departments that take up much of the research budget. Another large user of research is customer service departments, and some of this research is ‘in the moment’ (e.g. transactional feedback). Within the banking sector, for example, clients seek instant feedback on the internet banking experience such as after customers log off, or shortly after a branch visit through short telephone or mobile surveys. This transactional research is often internalised and automated due to the ongoing nature of the surveys, to have faster reporting and to manage service problems with individual customers as they arise. The media companies have a wider range of departments to serve, such as networks, studios, and advertising sales teams. All of these have demands for consumer research. Insurance companies and media companies also work with affiliates and intermediaries and need to provide these partners with market intelligence. However, research and consumer insight extends into far more departments that now require data to aid their management decisions. Research and development (R&D) departments use consumer insight for menu development and formulations, operations and production (e.g. for inventory planning), and real estate (e.g. traffic counts to aid decisions on store locations). Other areas include staff research, most of which is undertaken internally, and agent surveys for insurance companies. For some organisations, staff research has evolved much further than the standard annual employee satisfaction surveys, and selected staff ‘deep dives’ are undertaken that are used to improve internal processes within the organisation. 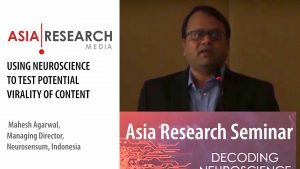 There was some level of insourcing of research across most of the client organisations Asia Research interviewed. Technology (e.g. Survey Monkey) is making it easier for clients to conduct their own small surveys. There is also some direct engagement of online panel companies where clients design and analyse the survey themselves, without the use of external research firms. The relative benefit of insourcing, according to the clients we interviewed, is to bring some of the research expertise in-house, particularly for the industries where agencies do not have specialist knowledge. Projects can be insourced for confidentiality reasons, such as for a very sensitive topic or strategic piece. Where a project needs to interview high-value customers, clients might be nervous about using unvetted third parties and prefer to do it themselves. There are obvious cost and time savings to be had from insourcing, but it is often speed that is the higher driver, as clients complain about the timelines involved in the procurement process with external agencies (e.g. seeking quotations, evaluating them, getting them approved, briefing the agency, etc). But some new arguments for insourcing are emerging that show how far research is being integrated into the whole marketing cycle of corporations. By undertaking client research themselves, corporations are able to link their survey responses to the individual customer; this is not always available through external agencies bound by the confidentialities of the Market Research Code of Conduct. However, the perceived benefits of outsourcing to external agencies are in some respects stronger and cover a wider range of considerations. Although most of the client organisations we interviewed have set up insight departments, they might not have the resources to take on certain projects themselves, particularly large, multi-country projects. The other view is that insight departments should focus on the value add (e.g. the application of the research) and should not be involved in labour-intensive project management and analysis. 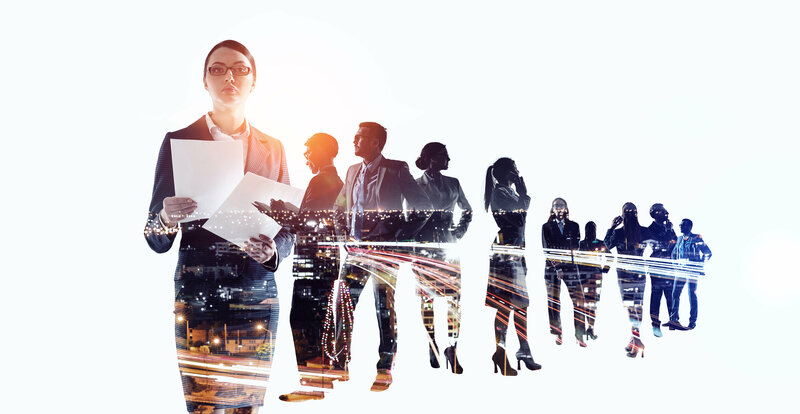 Clients also recognise that agencies have more skilled and experienced analysts and researchers, so while corporations look to develop some level of in-house expertise, they can find it hard to recruit researchers, and this applies across all the management levels. With the range of agencies to choose from in Singapore, the client can access the talent they need through outsourcing. There are also particular types of projects where the client needs either the resources or the expertise of an agency, including offline research, or projects conducted in other countries where there is no local resource and where they need to tap the knowledge of the local market for cultural understanding. They might also need to access specialist methods or products (e.g. conjoint, syndicated studies, etc). Clients also argue that by using a third party they get a more objective and independent view of the market. That said, one client has overcome this argument to move more of their client research in-house, and because clients are getting more comfortable in using online surveys, the bias that can be associated with the ‘human interface’ (e.g. interviewing your own customer) is reduced. Additionally, while most organisations have insight departments, there can be a reluctance to grow their fixed costs with more headcount. Furthermore, with less headcount, organisations will not need to manage so many staff churn issues (e.g. recruitment, training, and replacement if someone leaves). Clients have varying appetites for new research methods and new vendors. They are approached continuously by new agencies or vendors claiming to offer something different. Clients recognise that they should try out these new methods to keep themselves up to date, but there is some resistance to trying something just for the sake of it being new. The barriers to the adoption of new methods are that the current research methods serve their purpose, and new methods might add too much complexity. New methods might just be theoretical and lack proof of concept, and many state that some of the new methods (e.g. neuro-insights) are too expensive. Exposure to new research methods can sometimes come through engaging new types of research vendor, and some clients are very open to using non-conventional agencies. Examples include ‘service experience consultancies’, design agencies, smaller agencies who have very talented researchers or even just an individual consultant, or specialist firms for specific segments of the market (e.g. high net worth individuals). Technology usually underlies the adoption of new methods. These include insight communities, diaries through mobiles, research through WhatsApp, social media monitoring, and text/verbatim and video analytical tools. But with so many new research methods involving online-based research, clients recognise that these can miss the important older segments of the market, which are making up an increasing proportion of consumer markets as populations age. Some organisations also need to research children, and this target audience is usually out of bounds via online research. Despite the innovations, clients say there are still gaps in the market where they have not yet seen the right solutions. These include making customer satisfaction studies ‘more fluid’ – using questions and questionnaires that are simple and less taxing on the individual, and yet are still able to provide the required insights. Similarly, clients feel that they should be ‘getting more out of trackers’ – e.g. better market sizing information, market penetration gains, better understanding of unique customers, etc. The status of research within corporations is increasing, driven by a range of factors including wider use of consumer insight across departments, better research, and senior management using more ‘data, evidence, or fact-based’ decision-making. The insight departments have also been working hard on adding value to their research internally, for example by creating models that integrate different research to generate a better picture of the market, or increasing the depth of understanding of key clients. The only sector where research appears to be losing status is within the multinational fast-moving consumer goods (FMCG) companies. Some report that FMCG companies are significantly reducing their research budgets and seeking to cut costs by sticking to established brands and products. They have limited new product development and this clearly impacts expenditure on concept testing, product development, and communications research. In general, there is widespread adoption of new technology and a trend towards using shorter surveys designed for consumers with shorter attention spans. But despite the developments in neuro-insights and AI, research is still mostly based on traditional Q&As and a high reliance on the traditional researcher/project manager in research design, analysis, and client servicing. Hence traditional research firms, aided by new survey technology or working in partnership with specialist survey technology companies, will still feature quite strongly in the market for some time.